Award-winning filmmaker Ken Burns, in conjunction with PBS, Florentine Films, WYES and Loyola University New Orleans, will screen a 60-minute preview of his latest film, “Prohibition,” on Tuesday, June 7, at 7 p.m. in Monroe Hall’s Nunemaker Auditorium. A question and answer period with the director will follow the screening. 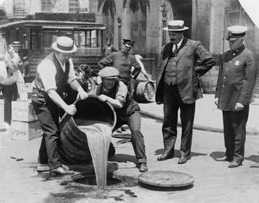 “Prohibition” is Burns’ latest documentary with co-producer Lynn Novick. The three-part, six-hour documentary will make its television debut this fall on PBS stations nationwide, including WYES. This film is the true story of America’s “Great Experiment.” It goes beyond the oft-told tales of gangsters, rum runners, flappers and speakeasies to experience the rise, rule and fall of the 18th Amendment to the U.S. Constitution. Ken Burns has won 12 Emmys and has been nominated for two Oscars. He has been the recipient of more than 25 honorary degrees and in September of 2008, at the News & Documentary Emmy Awards, he was honored by the Academy of Television Arts and Sciences with a Lifetime Achievement Award. Since the Academy Award nominated “Brooklyn Bridge” in 1981, Ken has gone on to direct and produce some of the most renowned historical documentaries ever made including “The Civil War,” “Baseball, The Tenth Inning,” “The National Parks: America’s Best Idea,” “Jazz” and countless others. Seating is limited. Reserve your seat by calling 504-840-4885 or email WYES’ membership department at membership@wyes.org.